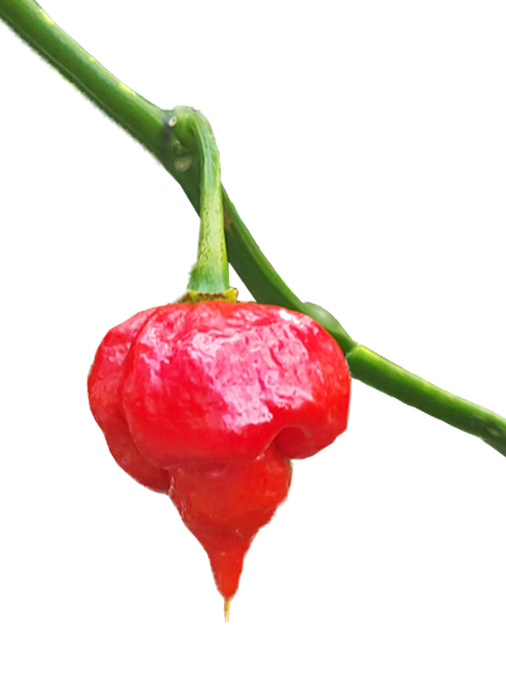 The Trinidad Scorpion Peppers are a variety of hot peppers with origins in Trinidad. There are several peppers in the Trinidad Scorpion Collection including the Trinidad Scorpion Butch T and the Trinidad Scorpion Moroga. There are also several color varieties such as the Trinidad Scorpion Red and the Trinidad Moruga Scorpion Yellow. And don’t forget about the chocolate variety that is brown in color. These peppers are all hot and rank between 1 and 2 million units on the Scoville Heat Unit scale. The Trinidad Scorpion has given way to a whole new breed of hot peppers. Some of the Scorpion peppers have held the coveted position of being the hottest pepper in the world. Some varieties like the Butch T were developed in other regions such as Mississippi in the US. But they are take-offs of the original Scorpion peppers from the Trinidad and Tobago areas. They are all hot, with some being hotter than others. The Trinidad Scorpion pepper variety may be used in a wide variety of recipes and cuisines. Because of their intense heat, it’s important to start using them slowly and gradually increase the amount of pepper or pepper product used in your foods. 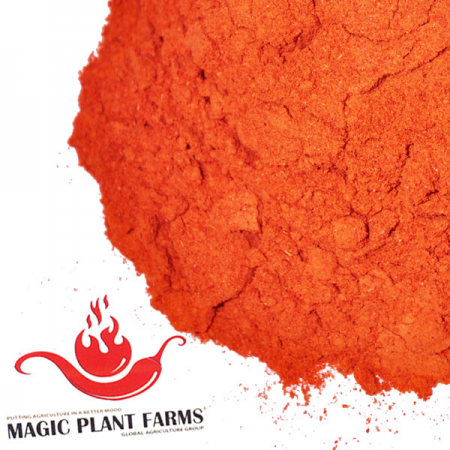 This allows time to build up a tolerance for some of the hottest peppers in the world. They are commonly used in purees, mashes or hot sauces. Each pepper provides a different flavor variety to dishes. For instance, the chocolate Trinidad Scorpion provides a smoky flavor with is complementary of barbeque sauces. They are available in dried pods, crushed, or chili powder forms.